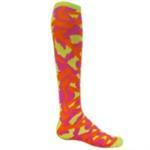 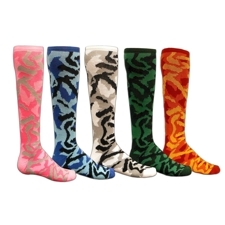 Camo Socks - great for soccer, baseball, softball, volleyball, cheerleading & all sports! Camouflage design, 79% Acrylic, 13% Nylon, 5% Polyester, 3% Spandex. 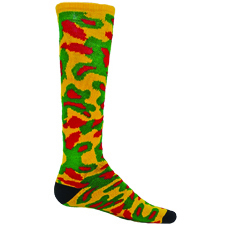 Minimum sock purchase is 12 pairs.